Get brilliant nail shine while strengthening clients' nails. 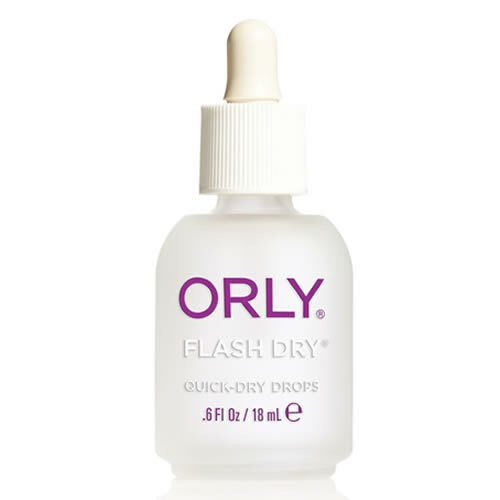 Orly Flash Dry Quick Dry Drops accelerate dry time on freshly lacquered nails while delivering brilliant shine. As well as strengthening nails the drops help to condition clients' cuticles. Comes in an 18-ml bottle. £9.40 (inc. VAT) Why no VAT? We're a trade wholesaler and quote our prices without VAT to help our VAT-registered customers understand the true cost of a purchase. 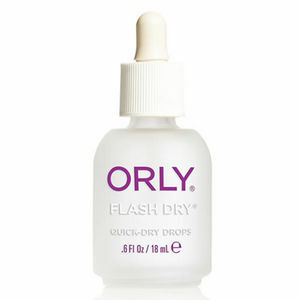 60 ml nail polish thinner that comes in an unbreakable bottle with Orly's exclusive built-in dropper. 120 ml of liquid nail polish dryer in a handy spray pump bottle.